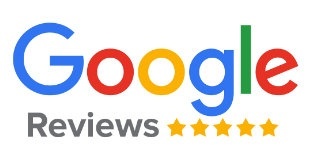 We have nearly 800 positive reviews combined! We believe in delivering the best service to all our customers - Your security comes first. You can rely on our local locksmiths to secure your property to the highest standard and trust us to meet your satisfaction. Locked Out? We can help! If you have lost you keys or have been locked out, don’t worry! Our fully trained locksmith can be with you within 30 mins of your call to let you back in promptly and secure your property. You can count on us to give you a professional and reliable service. There are lots of reasons for which you should have your locks changed, such as if you have lost your keys, have been burgled, have evicted your tenants or if you simply want to upgrade your security. We can help with all aspects of the above. We change locks on all types of wooden, UPVC or garage doors. Lock fitting? We can help! We are the local locksmith company you can trust, registered, CRB checked, used and recommended by the police, housing associations and local councils. Most people are not aware how many keys were previously cut for their new property. We strongly recommend changing the locks for your safety and peace of mind when you move into a new property. We have been helping people for years with all types of emergencies from lockouts to security upgrades. Our team of professional, highly trained locksmiths delivers a prompt, reliable and friendly service. Local locksmith services you can trust! You can rely on our local locksmiths to secure your property to the highest standards to meet your satisfaction. We cover a large area and a local locksmith is only ever under 30 minutes from you. Every one of our highly skilled local locksmiths carry out the work required with the minimum of damage to your property and always clean up after themselves. We believe in delivering the best service to all our customers. Don't take our word for it, here's what our customers say about our locksmith services. "I was pleased with services provided by SMR Locksmiths Ltd as they are my local Streatham locksmiths. I rang them in the morning to fix or if possible replace my letterbox which fell off and they did very good job not only doing that but also adjusted the front door lock so now the entrance locks nice, door work smooth and shut and open without hassle! "My tenants were locked out unexpectedly. SMR Locksmiths arrived quickly and gave a very accurate estimate for the job. They were polite and helpful and offered the estimate without me asking. This is the second time I have had them work the locks, the first time to fix something another locksmith couldn't. "Yale and mortice lock replaced. 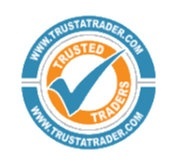 The service was very efficient and informative and knowledgeable about the modern insurance regulation of locks." "Very professional, did an excellent job changing the lock, no mark on the door, clean and very neat. I'm very pleased with the work, he is professional. Arrived on time, professional manner and called before hand to let men know. A happy customer." "I lost my key to the shed! Called Simon and he came within 20 minutes of my call - phew at last I could mow the lawn. Rate him more than a ten - great guy and such a great service." “Was locked out as previously lock jammed. SMR locksmiths managed to get me back into the flat and replaced the lock.